Indian team's Test opener Murali Vijay is all set to begin a new assignment in his cricketing career, and it will be with the Essex Cricket Club as their opening batsman in the Specsavers County Championships. The right-hander has had a very troubling international season so far this year, having not been able to showcase his skills as much as he would have wanted to. He was initially named for the first three Test matches of the ongoing England-India series, with the national selectors choosing to put off selection for the last two games until they can take note on the various performances from the first three games. Vijay failed to impress completely, racking up figures of merely 20 and 6 from the first game, and a very shameful pair (0 in both innings) in the second. Consequently, he was dropped from the third game and remained out of contention for selection in the last two games as well. Vijay has been available for comment since the latest announcement on his career has been made. “I was here with the India side about a month ago and saw first-hand just how good the crowd is. I can’t wait to play for Essex and hopefully win some matches,” he said. The 2018 season of the County Championships is drawing to a close, and Essex' Head Coach Anthony McGrath feels positive to be able to enjoy Vijay's presence in the team. “We’re delighted that Vijay has chosen to come here. He’s a great batsman who can score runs at the top of the order. His run-scoring ability means he can be the difference-maker in a game, and that skill is something we were looking to bring in towards the end of the season,” he said while speaking to media. Anthony is aware that his side has some big games lined up ahead as the County's are set to begin the last term of games this season. It will also be an opportunity for Vijay to redeem himself from what has been a disastrous tour of England so far. 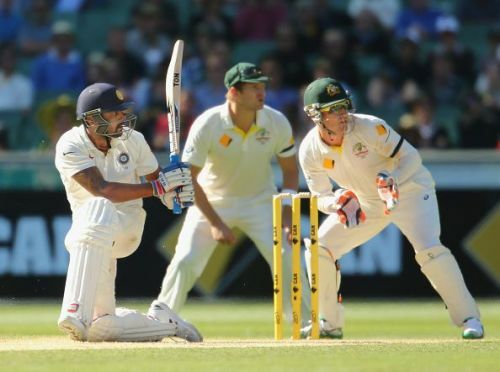 Is it the beginning of the end for Murali Vijay?